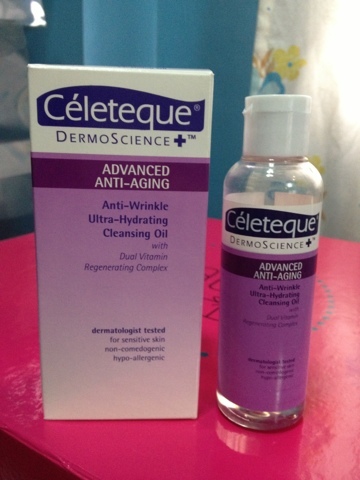 Celeteque Anti-Wrinkle Ultra-Hydrating Cleansing Oil* | Vanity and Everything in Between. Last April, I showed you guys a glimpse of the first BDJ Elite Box that I received from Belle De Jour. There were several items inside the box and the first thing that I tried was the cleansing oil from Celeteque. Why you ask? Because if was expiring in July 2013. 3 months away from the time I received it. I was still excited to use it despite the fact that I wouldn't be able to finish the product. I just know I can't finish it in three months. After finishing my Shu Uemura cleansing oil, I never really bought another cleansing oil. I've been using it since I got this in April and until July 31 not because it earned points as being one of my favorites. It was more of I wanted to use it as much before it expires. The photos above are the makeup residue and dirt combined from my face. 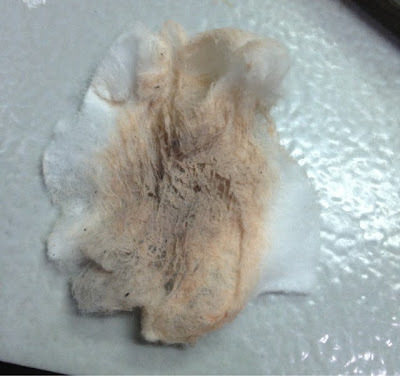 I use a cotton pad and about 3-4 drops of Celeteque's cleansing oil. I wipe it on my face on a circling motion and focus on my eyes if ever I'm wearing eyeshadow. On normal days, I use this to remove just my foundation, concealer, and brow makeup. I find this cleansing oil to oily for my face. And I don't like that. I guess this cleansing oil would have been my favorite had I not tried other cleansing oils first. Unfortuntately, I have. 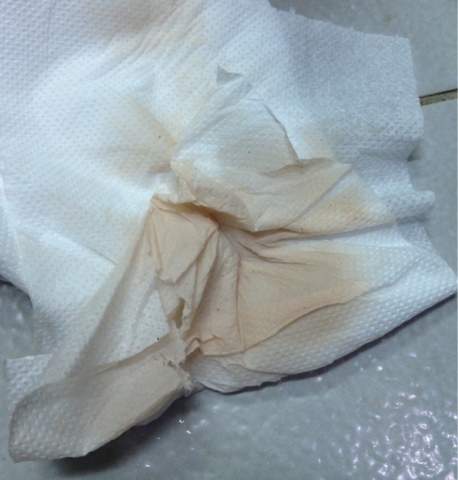 After removing my makeup, I still have to wipe my face with tissue to lessen the oil that transferred to my face. Then wash my face to make sure my face is totally clean. This cleansing oil is part of Celeteque's advanced anti-aging line. However, I didn't see any effects as I don't have any visible lines yet to begin with. In a nutshell, this makeup remover is effective. I just don't like that it's too oily on my face. I probably won't buy this again. This retails for PhP399 (if I'm not mistaken) in leading department stores. But I'd rather spend on getting a bottle of Shu Uemura cleansing oil than Celeteque's. Either that or I'd just use other makeup remover that are water based. ** I used this for three months and I finished the bottle half-way. I'm in love with this cleansing oil. I also love that its anti wrinkle, I noticed that I'm getting some wrinkles na kasi.